People's deputy is allegedly accompanied by Ruban. The "DPR" media outlets report that the deputy of the Verkhovna Rada of Ukraine Nadiya Savchenko arrived in Donetsk in the company with the head of the Prisoner Release Center Volodymyr Ruban. 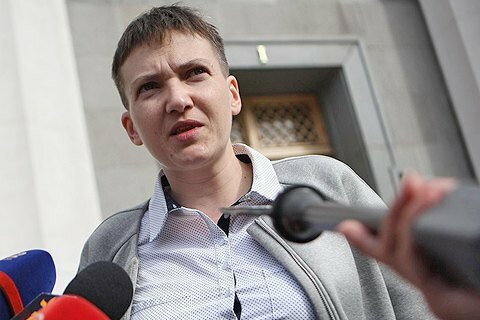 The stated aim of Savchenko's arrival is visiting Ukrainian prisoners. Earlier today, MP Tetyana Rychkova accused Savchenko of inciting the ATO troops to abandon their position near the Donetsk airport and go to Kyiv to overthrow the government. Last December, Savchenko secretly visited Minsk and met with the leaders of the Donbas separatist republics. The meeting was organized Ruban. After that Savchenko was excluded from her faction and the delegation to PACE. In January, Savchenko in defiance of the position of the Security Service made public the lists of prisoners subject to exchange. On 18 January, Verkhovna Rada's Committee on National Security and Defence recommended the deputies to oust Nadiya Savchenko from its membership.